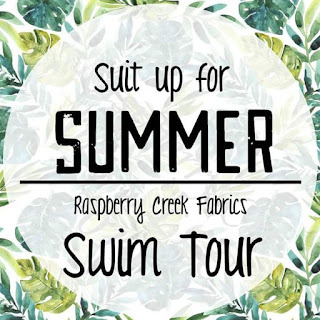 Today's the last day of the Suit Up For Summer swim tour that I'm co-hosting with Tami from Sew Sophie Lynn for Raspberry Creek Fabrics new swim line! 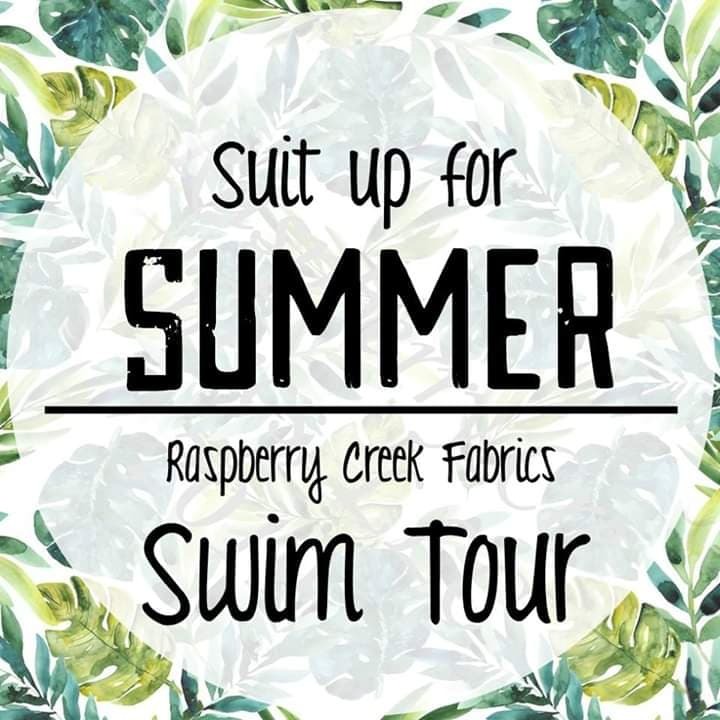 There are over 50 swim suits showcased on this tour and something for everyone, so make sure you check out all the participants. 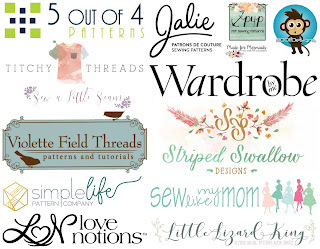 They've all done such an incredible job! For my suit today, I'm sharing a mix and match set. I had gotten half a yard out of the Circus Boy Stripe and a half yard of the Navy Circus (on preorder) and I got two swimsuits out of them! 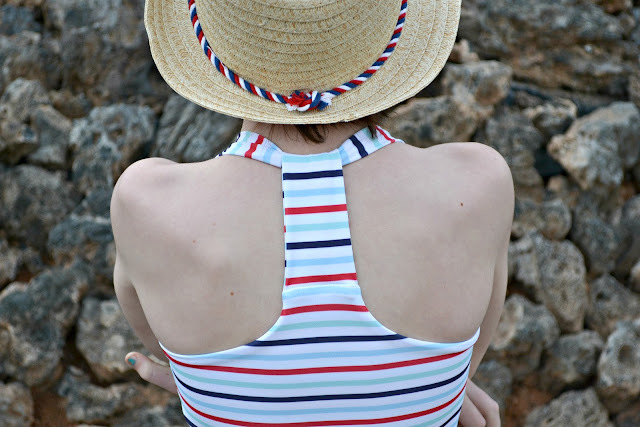 For this stripe suit I used the Solis Tunic and Dress by Sofiliantjes size 6 bodice and the bottoms are Boo Designs Swimmers Classic Briefs - also size 6. Of course I also made a pair size 6 Boo Designs Swimmers Classic Briefs in the Navy Circus (on preorder) too! 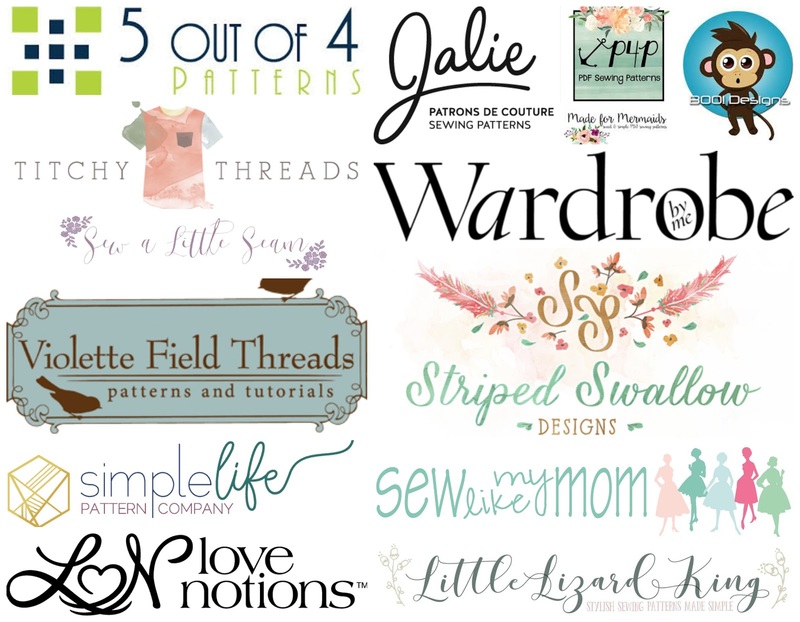 I love that she's able to mix and match with these ones! And here's the all Navy Circus suit! The top is Boo Designs Flounce Dress. 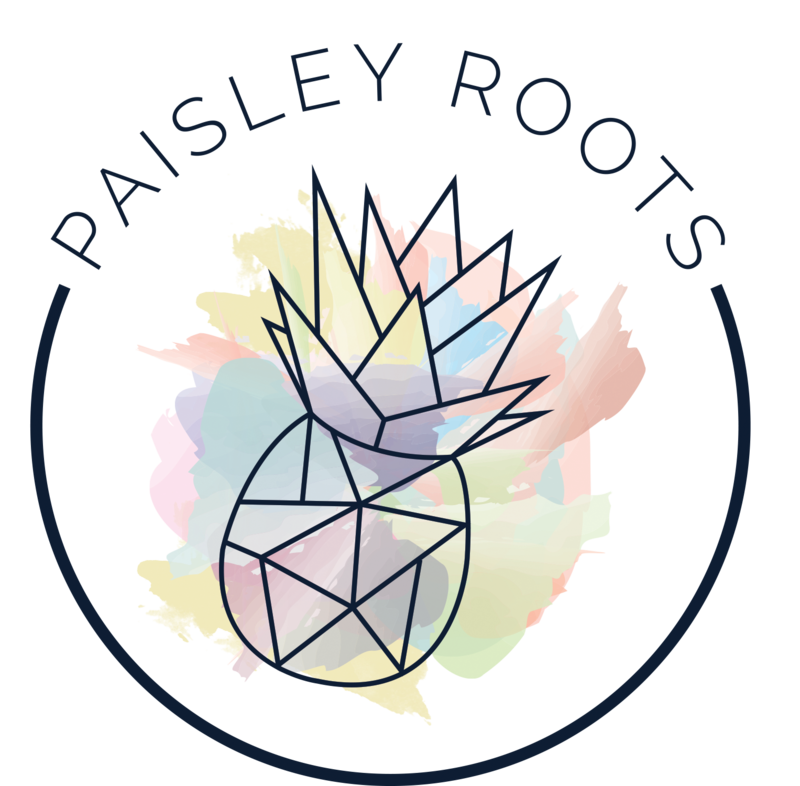 This will not be our only one for this year. Aevarie has been dying for this pattern since last summer ended and has demanded it out of the Mermaid Scales! And here's the original pairing that I had on day 1 of the tour! Make sure to check out the other bloggers on the tour today along with taking advantage of the discount codes!